Please take a moment to check me out at The Sweet Sixteeners Blog. 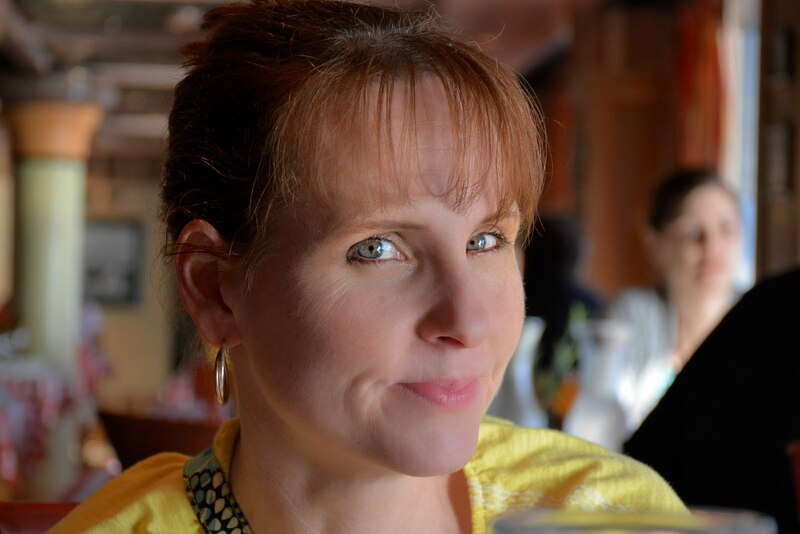 I'm the featured "meet the author". Read closely because my next post is is going to be about something in this interview. Can you guess the topic of my next blog entry? What would Ma and Pa do? I'm back. I think. I want to be anyway. Now, that summer is here, I'm trying to carve more time for writing-related activities, and this blog has been pushed aside for too long. Like most people, my heart has been heavy the last few days. Politics are frustrating to say the least. The massacre in Orlando is both depressing and infuriating. The internet is filled with bad news, over-reaction, judgement, finger-pointing, pathetic argumentation/rhetoric, self-promotion, and hatred. I'm tired of it. And you have to know, I love the internet. I'm sure I'm addicted. Even so, I kind of want to run away for awhile, but every day, I feel on edge, and I'm sure it's connected to how much nastiness I'm reading on a daily basis. I've been wanting to blog or respond to so many things, but I can't think of a valuable or original way to contribute to the conversation. Plenty of people have said what I'm thinking. Plenty of people yell and throw stuff at them. And back and forth it goes. One of the reasons I read and write YA and MG fiction is because at it's heart, children's literature is hopeful. People make mistakes, and they are forgiven. Bad people find karma knocking on their front doors. It's a world in which characters experience emotions such as love and heartache for the first time--so many powerful feelings, so many struggles. Still, in the end, the characters grow and learn and thrive. 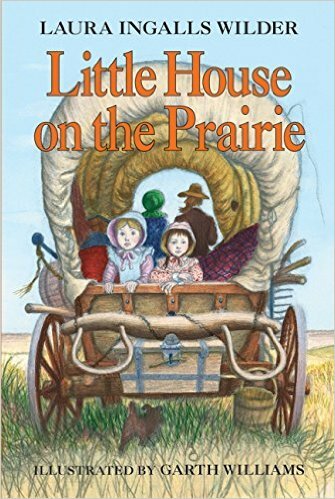 One of my favorite book series while growing up was Little House on the Prairie. And you know what's funny? 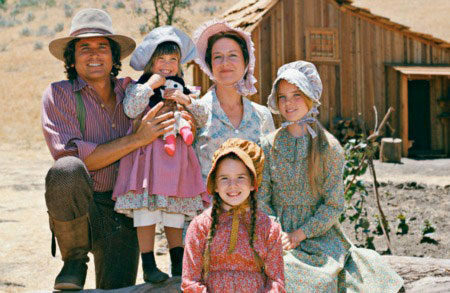 I'm not the only one to think this way because a quick Google search yielded far more entries on "lessons learned from Little House" (link 1, link 2, link 3) than I expected. So, yeah, I guess I'm not that original, but I still want to go there. I'll keep in short. 1. When new people come to town, welcome them. Pa didn't care what you looked like or where you came from or how you got there, he would always be there to shake a hand and offer to help each new person who came to town. 2. Listen and respect each other. People on the prairie didn't always agree, even in the closest of relationships. Even in a world of traditional gender roles, when Ma and Pa had differences, there was mutual respect and admiration. 3. Bullies don't win because in the end, they are never happy. Nellie and Harriet, anyone? They were cruel and judgmental with others, but it was clear that they didn't like themselves very much, and it never got them very far. 4. Life is complicated and sometimes doing the right thing is, too. Remember when Pa made shoes for Olga even though her dad didn't want him to? Or when Amy Hearn faked her own funeral in order to get her kids to visit? Characters in the show faced all kind of very real problems, from loss to substance abuse to racism and sexism. Sure, it's a T.V. show, and there was always a resolution, but that didn't mean it was easy. It means that life is messy. It means sometimes, we have to step out of our comfort zones and stand up for others even if it would be easier to keep our heads in the sand. It means we may have to put our own needs above others. It should force us to ask questions like, "How does this benefit my community? What can I do to help others? Am I fighting because I want to be right or because the cause really is right for everyone?" 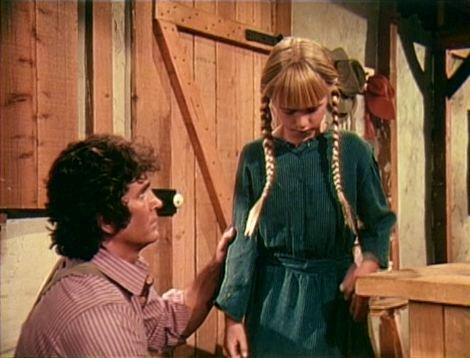 I've said before, watching the first few seasons of Little House pretty much teaches you everything you need to know about being a good person. Maybe the Internet could have one giant watch-along! Did you have a favorite episode? Or book that helps center you on important life values? As a writer, a teacher, a critic, and a parent, I'd love to call for a little less anger and a lot more Little House.